His power: Caliban can track other mutants. 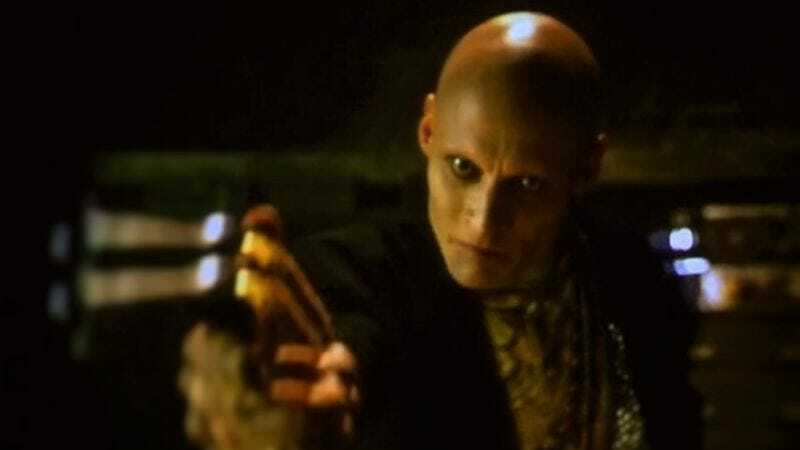 His story: Caliban is an information broker in X-Men: Apocalypse, using his superpower to sell the locations of mutants to anyone who can pay. He directs Mystique to Nightcrawler in Munich, but refuses to help Apocalypse when the purple guy doesn’t pony up the funds. Caliban’s associate Psylocke protects him when Apocalypse tries to punish him for his insolence, and that act of bravery convinces Apocalypse to steal her away from Caliban, leaving him to run his business without the protection he needs. Caliban reappears closer to the side of the angels in Logan, helping the title character keep Professor X properly medicated so that his psychic powers don’t kill off half of Mexico. Captured by Donald Pierce, Caliban is forced to use his powers to track Logan, Xavier, and X-23. He ultimately chooses to kill himself to help Logan and X-23 escape. Currently, Caliban is: Dead, at least in 2029. Where will we see him next? Given that Logan seems fairly disconnected from the mainstream X-Men continuity, his death probably doesn’t rule out him popping up in some later film. No plans, though.